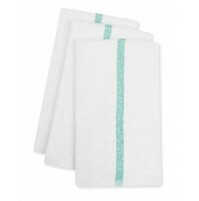 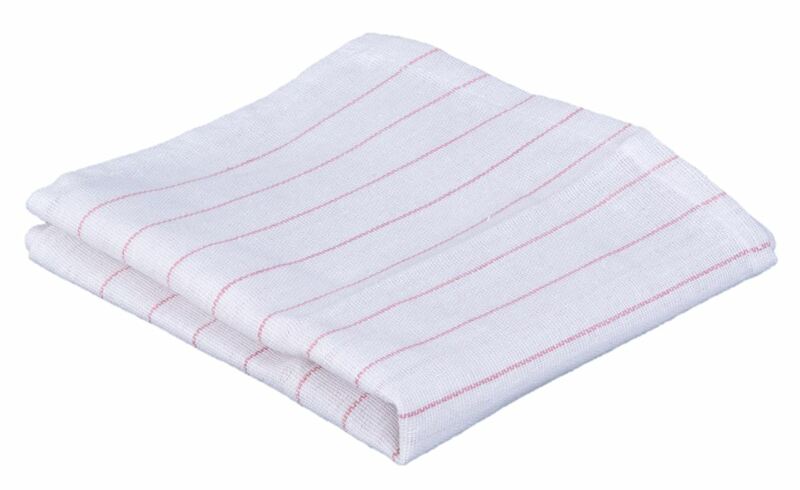 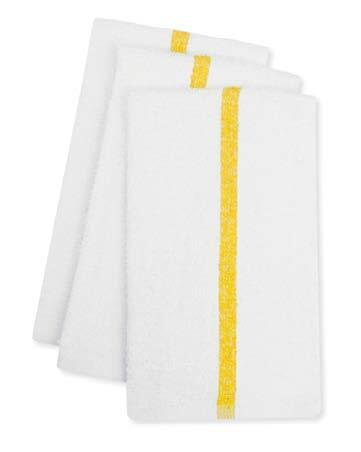 Bar Towels made of 100% Cotton Terry Ribbed with center colored stripes. 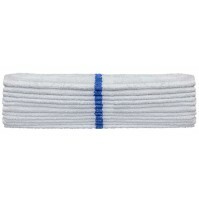 Range in weights from 20oz to 36oz. 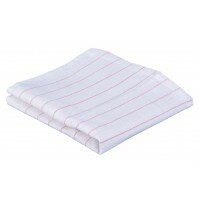 "Maxi-Mop" versions are heavy duty constructed with a stronger weave and low piles. 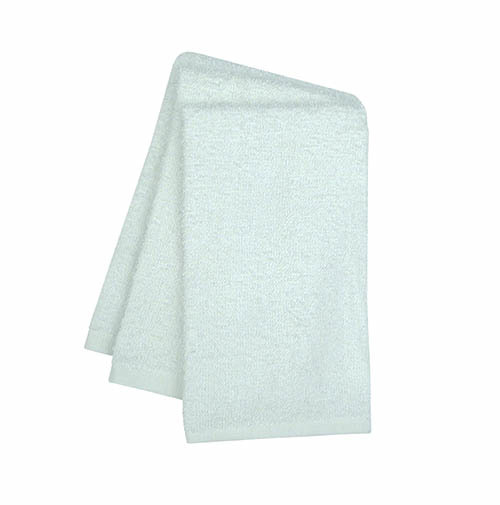 Maxi Mop reduces lint providing a cleaner finish and better cleaning, while increasing the longevity of the bar towel.